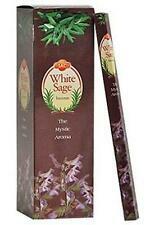 One 8-Stick Box SAC's White Sage Incense! 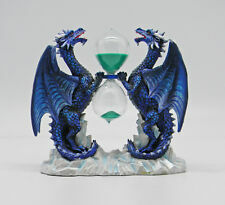 Double Dragon Sand Timer (Hourglass)! 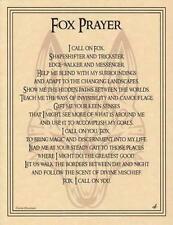 FOX Parchment Page for Book of Shadows, Altars! 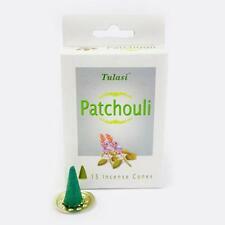 15-Cone Box Tulasi Patchouli Incense Cones! Wolf Prayer Parchment Page for Book of Shadows Page, Altar! CREATE DESIRE IN ANOTHER Ritual Quick Spell Candle! "4 Elements" Vividly Embroidered Velveteen Tarot Bag! 12 Corked Apothecary Style Jars of Semi-Precious Stone Nuggets! "FAST LUCK" Ritual, Spell, Mojo Fragrance Oil! Phoenix Parchment Page for Book of Shadows, Altar! Blank Magnetic Bumper Sticker Holder! Brass Chamberstick Mini Chime Candle Holder! DRAGONFLY Wood Box for Tarot, Crystals, Jewelry, Trinkets, etc.! Patchouli-Amber Fragrance Oil for Rituals & Spells! Harmonious Universe Celestial Pendant Necklace! 8.5 x 11 Inch Laminated Pendulum Divining Chart! 5"x7" Leather Bound Locking Pentagram & Broom Book of Shadows, Journal, Diary! Tiger's Eye Tumbled Stone Bracelet! ONE each SILVER & GOLD Ritual Chime (Mini) Candles! 45 Tibetan Amitabha (All Things Good) Buddha Rope Incense Sticks! Blank Deck of Cards - Create Your Own Tarot or Playing Card Deck! 5 Elements Evocation Parchment Page Set for Book of Shadows, Altar! Cat Prayer Parchment Page for Book of Shadows Page, Altar! Rustc Gypsum CERRIDWEN Goddess Figurine! Moon Goddess Parchment Page for Book of Shadows, Altar! Protection Quick Spell Ritual Candle! YOUR MAGIC WAND Parchment Page for Book of Shadows, Altar! Earth Dragon Parchment Page for Book of Shadows, Altar! One 8-Stick Box Tulasi "Relaxing" Incense Sticks! One 8-Stick Box Tulasi Sage Incense Sticks! Peruvian Dolomite OWL Pocket Spirit Animal Totem! Crystal Journey Candle's MANIFEST A MIRACLE Reiki Charged Votive Candle! 1 Pound of Mixed Tumbled Stones! 18"x18" Gold on Black Triquetra Altar Cloth! CARD II for AROMATHERAPY, Laminated Wallet Card!